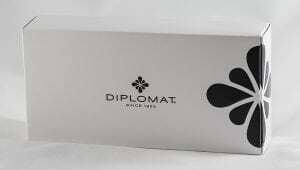 When I first heard about it, I was immediately very interested in the Diplomat Aero. 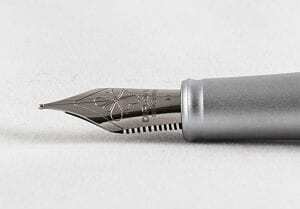 Diplomat is without a doubt one of the best fountain pen makers around, the nibs they make are fantastic. 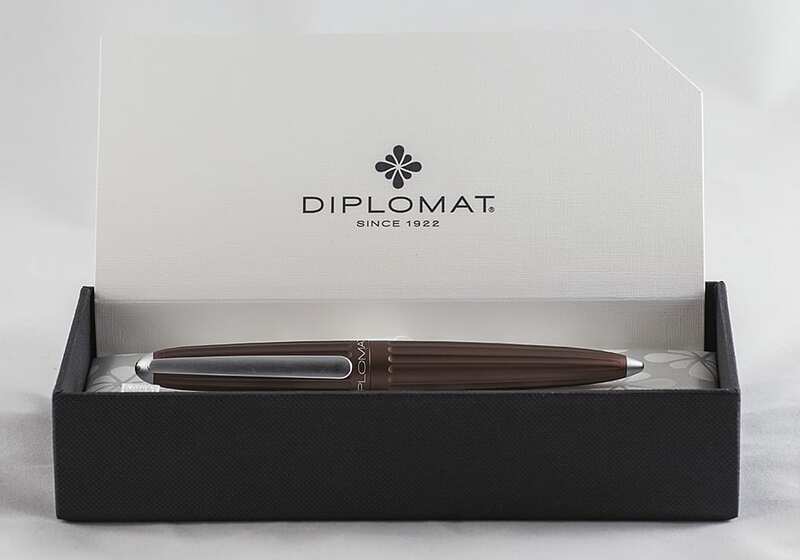 On the other hand, I don’t usually find the design of Diplomat’s fountain pens very special, not to say boring. With the Aero Diplomat has taken another route and for the first time I am really excited. I love the design of the Aero. What a fun and playful idea! With the Aero I sometimes feel like a child. At boring meetings I play quietly with my fountain pen that looks like a zeppelin in my hand. It slowly rises up and quietly sails away, just like myself at such moments. 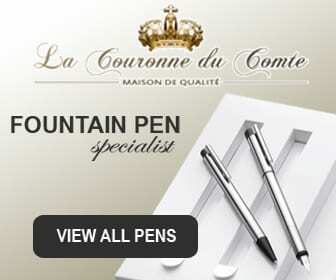 What a huge pleasure a beautifully designed fountain pen can offer you! 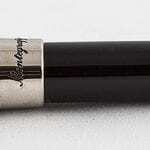 The Aero is made of aluminum and has an anodized layer. This makes the surface less slippery. 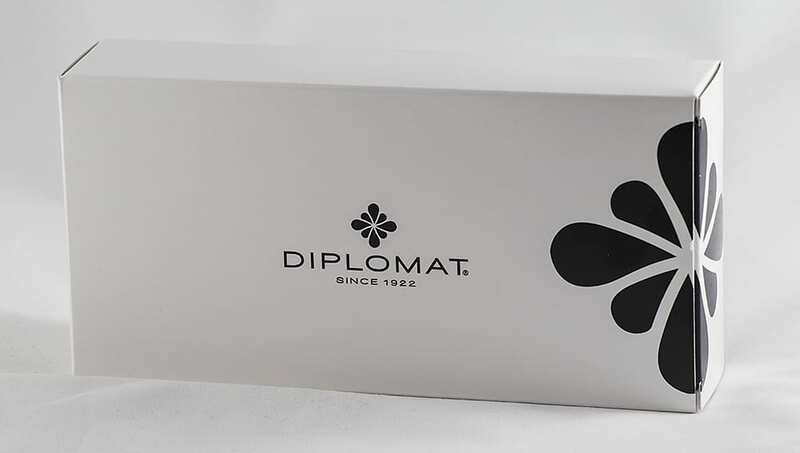 Diplomat fountain pens come in a stylish box. 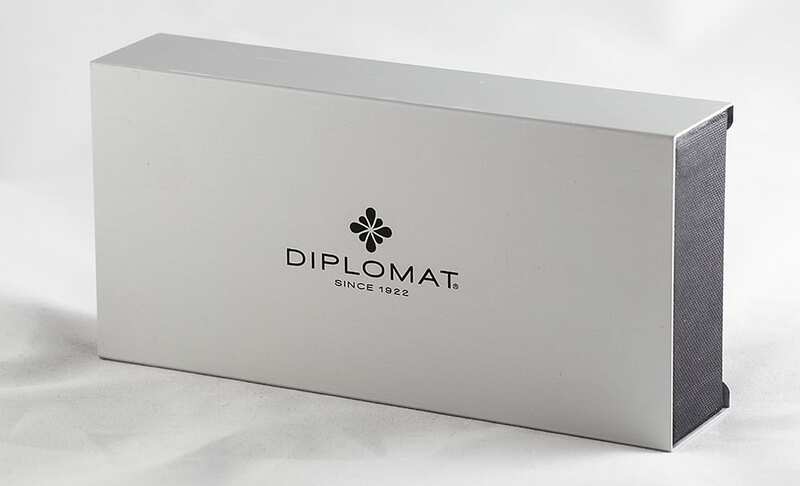 The innerbox is placed in an aluminium sleeve, which gives this box an extra luxurious look. 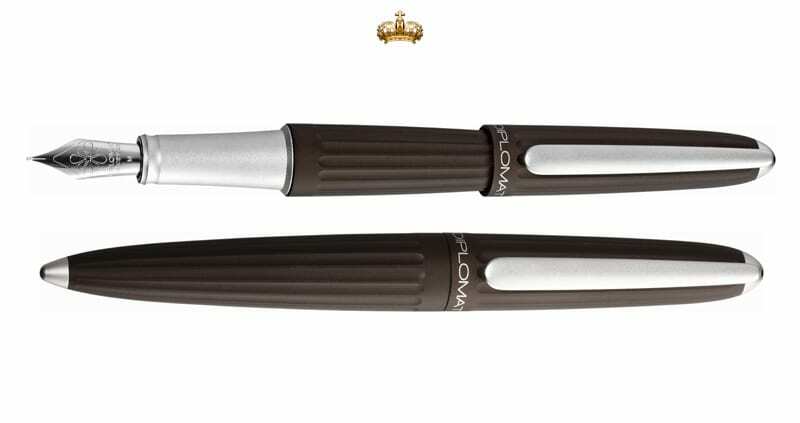 This fountain pen is without doubt heavier than the pens you might be used to. Just like the Diplomat Excellence which is also on the heavy side. In the Aero there are similar nibs to the nibs in the Diplomat Excellence. 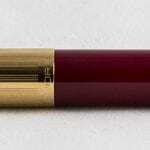 You can place both steel and gold nibs in this fountain pen. A golden nib is up to €100 more expensive. For most people however, a steel nib will suffice. Because as mentioned earlier Diplomat makes excellent nibs. The grip of the Aero is also almost the same as that of the Excellence, with plenty of space to place your fingers in different ways. Ergonomically, the Diplomats are really okay. 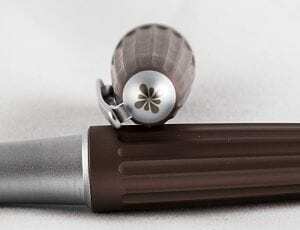 With the Aero, you can write with and without the cap posted, depending on your personal preference. Usually I write without the cap, but I think that the Aero writes better with the cap posted, the pen feels slightly better balanced. The nib in this fountain pen is large and robust. I don’t want to claim that the nib tip is rigid but the nib is certainly not flexible, it’s actually a little bit in between. 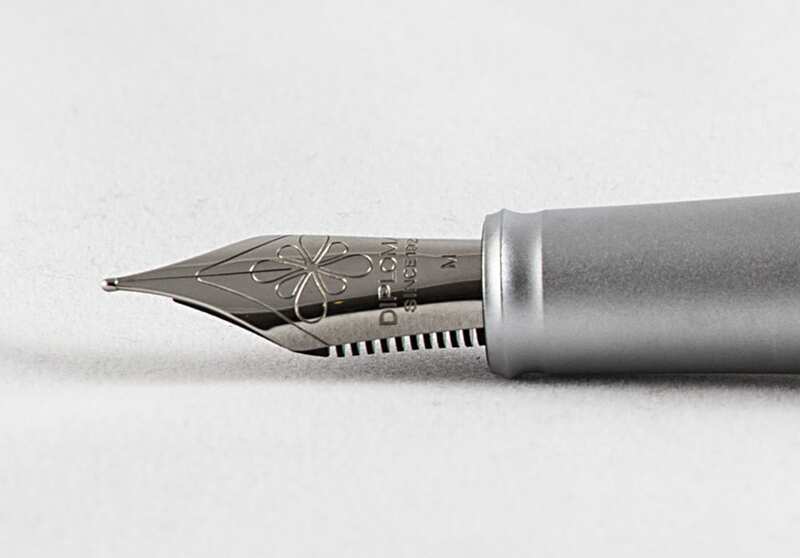 It’s not a fountain pen that’s suitable for calligraphy, but it is a contemporary fountain pen with which you can make notes quickly and easily. Diplomats write like a train or should I say as a Zeppelin? No, the Aero’s are too heavy for that, but the nib glides across the paper as Zeppelins glide through the air. You can fill the pen with the regular international fillings. 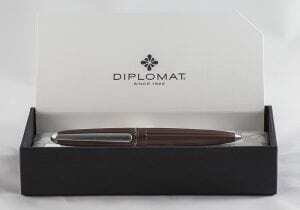 Diplomat also includes a converter with this pen.